Don't run the danger of entrusting the soundtrack and collective memory to you and your friends and guests, of your event to improvisations without musical culture and respect for a unique evening that only experience can interpret. For your DJ Set in Italy, contact me and choose a DJ that mixes live for you. 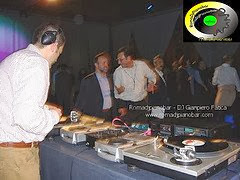 Reggaeton MIX DJ Gianpiero Fatica Italy from www.romadjpianobar.com on Vimeo. 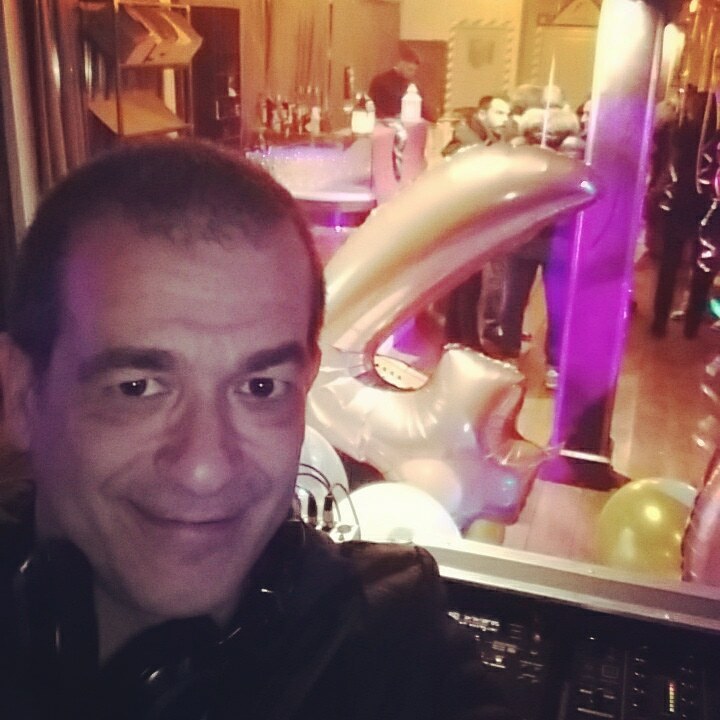 Absolutely super service provided to us by Gianpiero and his colleagues right from classic piano, through jazz to the dance our socks off Dj set. We cannot thank you enough. Not only that but the musicians were so engaged and enthusiastic we felt they were at the party too Bravo! 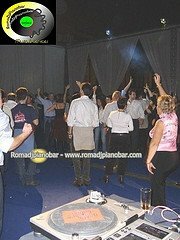 Business meetings, business dinners, local and location where guests prepare for the evening directly after work and enjoying a drink, a cocktail, the mood music chillout, prepared by the staff of the Agency's dj music and Romadjpianobar show. Or even at the beach, where the thirst for music is accompanied by the need to relax in the sun with friends, until sundown and beyond. And to accompany our friends, relatives and guests at the wedding reception. The lounge and chillout music is the expression of a relaxing and exciting at the same time, where the sound is specifically designed to enhance and accompany, often with instrumental music but also with covers of songs evergreen, popular and already winning , and new arrangements that enhance the creativity of musicians of international standing. 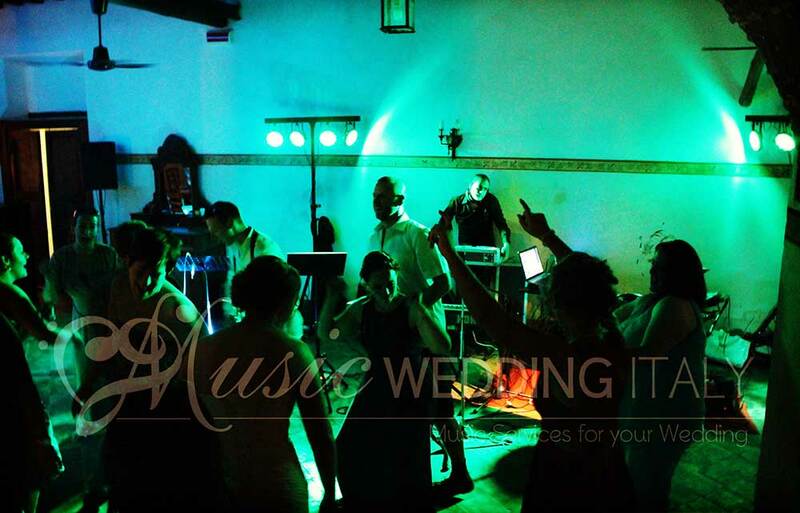 This is why, among the proposals and solutions of our musical entertainment, could not miss a proposal made by music lovers for over thirty years and knows the nuances and elegance of these evenings. Compared to those who can’t improvise in a role so delicate, with a console and automatically tunes in bulk, our added value is the experience, the musical knowledge, empathy with the audience is always different, the psychology of the audience and the evening , collaborations with wedding planners, event planners, and the solution of needs and problems in communication agencies and marketing responsible for care of the musical entertainment for events. Our proposals are already solutions, which are empathy with the couple, understanding immediately the type of special need of the event and the music with the atmosphere you dream in a lifetime and that result in a great evening with a DJ or a band of experienced and professional people, able to feel the psychology of the public, their emotions, and bring in music. When you come to visit Rome, contact us and we will be happy to make a meeting to share it all. And 'of course possible to organize everything by internet, for your Italian event. Music and entertainment in Rome and in Italy with artists, DJs, bands and musicians who have decades of experience minimum.Organizing and managing events, wedding receptions, wedding party, evenings and all you need music with an offer in all areas.Proven solutions, customized to specific needs.Each event is unique and can not be a copy of an evening alike, as it distorts the value added music service: the artistic performance and the attention to detail of the customer who lives a unique evening and not reproducible nor manageable a random playlist on a computer or a console automatically.We also work as an account of Wedding Planner and event organizers, we are meeting the needs, proposing solutions and building together.We start from our experience and we enrich each time new requests to modulate the new event, always unique.Some services:- Dj Service- Piano bar / Karaoke- Piano bar / Karaoke + DJ Service- Live Band- Jazz Band- Gospel Ensemble- Jazz Pianist- Jazz Pianist and Singer- Classical MusicAll solutions are inclusive of audio / lighting; for relevant events with service by the customer or on our proposal.Flexibility, solutions, guarantee of experience and best estimates cost - quality. 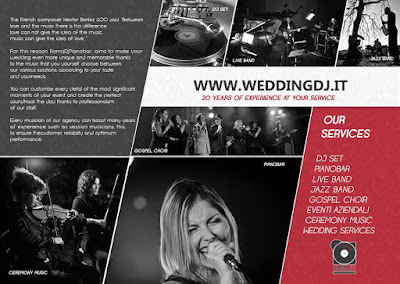 A staff of musicians, singers and dj's ready to make every day a new project for wedding and events in Italy. 30 years where we have turned our passion into professionalism to the satisfaction of your needs. Have known over the years many spouses of different nations and cultures, we have enriched and made more and more curious to empathize with new needs and that allow us, event after event, to live with the couple, their relatives and friends, a 'unique experience even after so many years. We are a team specialized in entertainment and musical entertainment, live with individual singers / piano / karaoke, musicians, bands fitted to satisfy atmospheres with danceable evergreen, and Dj's "old school" for evenings where popular music and disco music, the funky and rock of the '70s and '80s is preferred; but also mixed solutions with current fashions of tech-house, and Latin music from all over the world, where the playlist can you provide it. A complete project to satisfy the most demanding in terms of musical culture, as always, for example the British and Americans. 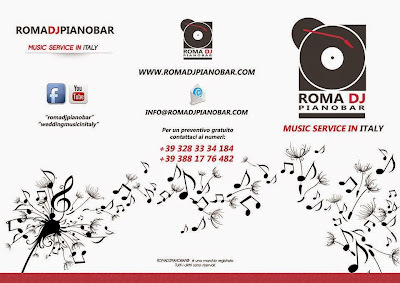 We, the staff of the agency Romadjpianobar, formed by people passionate about good music, dj's and musicians, which has within it experienced artists a minimum of ten years. An 'idea of ​​establishing, starting from the experiences and skills, an open project that can predict both the "packages ready" solutions tested over the years and also suggest us by the spouses themselves and the companies which we have treated the events. Or, taking advantage of a staff of professionals capable of shift workers interpret new and different needs, become genuine account of our customers, to build with them a unique evening. Only because there are evenings of reserves for such events, weddings and corporate events. Everything must go come expected, both from the point of view of the musical, dance and fun, and from the point of view of a great sound and lighting system and the management of the various steps of the evening. Then you can contact us without hesitation to share your emotions. Us, if we do not work every time a new dream, do not we have fun. Your lovely pics. 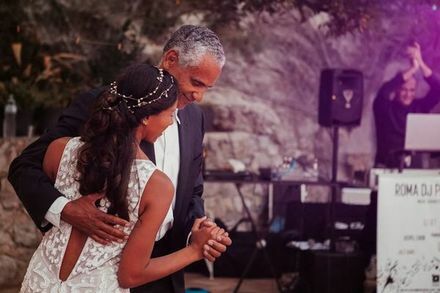 Get ideas and questions for your meeting with your Dj at wedding reception. Timeline, checklist, playlist, announcments, games, cost, promotion, quote, experience, available live music with Band, singer, wedding planner. In Italy, Romadjpianobar is a music staff made direct from the experience of 30 years in events and weddings. Choose your dream with professionals entertainers. Your Music Partner in Italy! 30 years old experience for the best services. 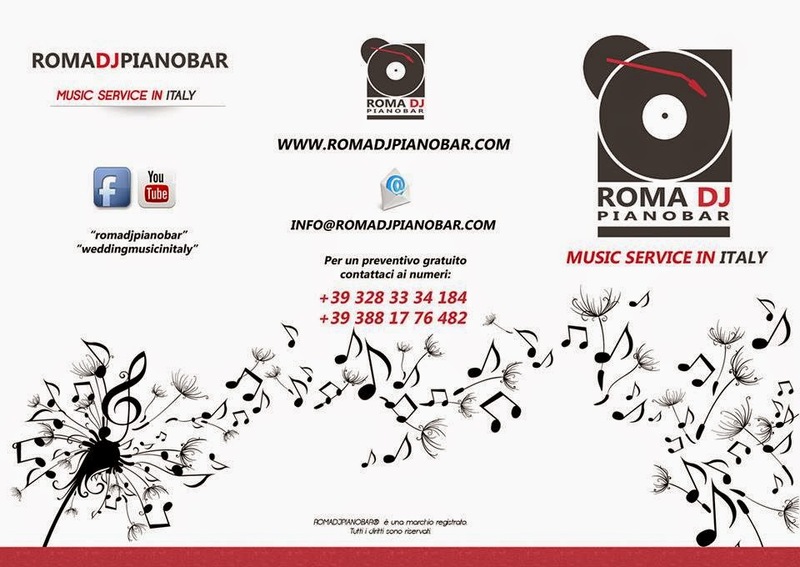 Romadjpianobar®. Ethereal theme. Theme images by rami_ba. Powered by Blogger.